This stout hand axe/tool is a perfect example of how such tools were cut/flaked from native stone. 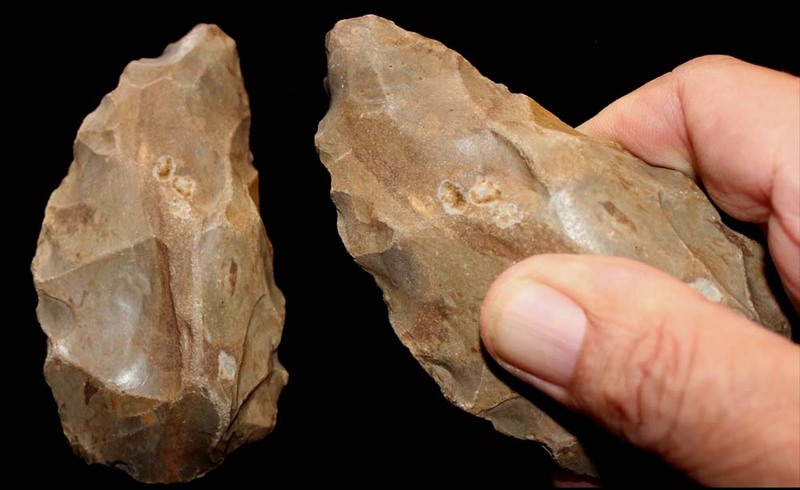 As seen in the photo, this tool was perfectly knapped to be used held in hand. 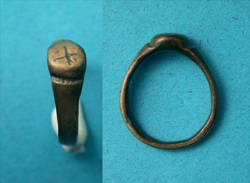 As seen in the photo, the knapper flaked a large dimple into the tool to hold his thumb finger. Not seen, on the other side, is another flaked dimple for his index finger. Sweet!